Get free stuff for playing a free game? What a bargain! 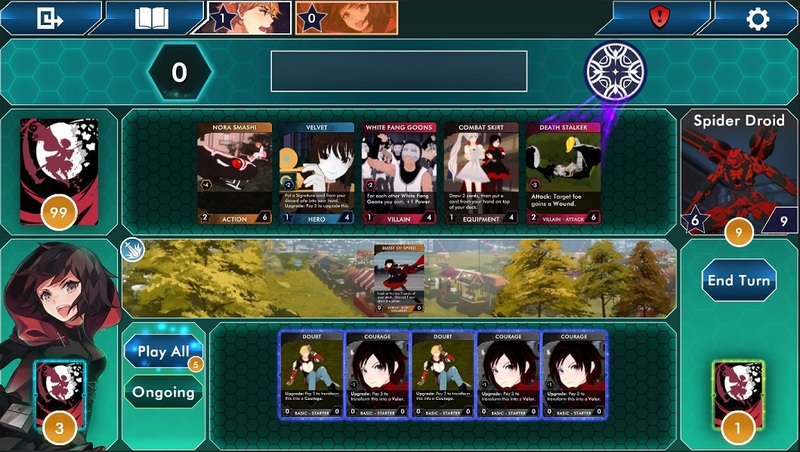 Today’s case is the RWBY Deckbuilding Game from Rooster Teeth, which is celebrating its 16th anniversary (Rooster Teeth, not the card game). Players who log into the game and complete three quick matches before April 1 will receive a special card sleeve to commemorate the event. If you’ve got 2000 Dust burning a hole in your virtual pocket, you can also pick up the “Celebration” Battleboard. You can see both the battleboard (center) and the sleeve (left) in the image at the top of this article.